A fitting start to the New Year would be picking up a copy of "Tools of Titans" by Tim Ferriss for about the price of a mimosa. It is thick and rich with examples, strategies, tactics, habits, procedures, and systems from the most successful people you've ever and never heard of! 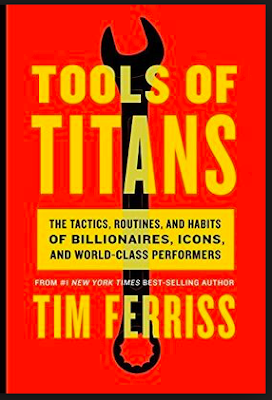 Tools of Titans is an overflowing resource of process-driven philosophy and execution methodology, superb.